In recent past a lot of awareness has come in respect of income tax payment, filing of returns and the simplified procedures which has made the task of tax payers much more easy. Inspite of all these, we find many are unknowingly evading the tax which may result in paying penalties. Further it may lead to even prosecution for under reporting their income & not paying the due tax. 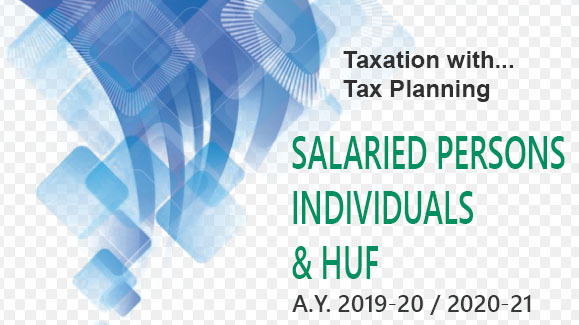 Every taxpayer has income either by way of Savings Bank interest or any other income which is overlooked at the time of filing Income Tax Returns. Savings Bank account is credited with interest every half year which is an income to be taken for the calculation of paying tax. Now banks pay 4 to 7% interest on Savings Bank. The Finance Act 2012 i.e. for F/Y 2012-2013 interest earned upto Rs. 10,000/- on Savings Bank is deductible from the Income u/s 8OTTA. Interest earned over & above 10,000/-has to be shown as income in the returns. Not reporting the interest income from Saving Bank a/c is a minor offence compared to other more serious lapses. Wealth Tax payable on certain assets if the combined value exceeds 30 lakhs (see chapter on wealth tax page No.28). You have to include the value of second house if it is vacant & the physical gold which attracts wealth tax if it exceeds limit due to the rising gold prices. Not only the savings bank interest but also interest earned on Fixed Deposits, Infrastructure bonds, NSC, Recurring Deposits & taxable Bonds of Govt., debentures etc. to be declared as income from other sources. It does not matter whether interest is credited on regular basis or on accrual basis. Even if TDS is deducted by the financial institutions on interest earned one cannot ignore the income because TDS will be only 10% & you may be on higher tax bracket. The penalty payable on wealth tax is quite higher. The wealth tax payable is 1% on the combined value of the asset exceeding 30 lakhs. Penalty for evading wealth tax is 100% with maximum of 500% of the tax evaded. The taxman may want to know where you got the gold from. It’s easy to say that you got it as inheritance from your grandmother or as a gift at your wedding. Even so, if the value of the assets exceeds Rs. 30 lakh, you are required to declare hem in your wealth tax return. It’s a common practice to invest in the name of spouse or children. What you should be aware of is the clubbing provision for the income earned through such investments. Any money received from a spouse is tax-free, but if it is invested, the income from that investment is added to the income of the giver and taxed accordingly. So, if you bought a house in your wife’s name, any income from that house, whether as capital gains when you sell it, or as rent, will be treated as your income. If she did not contribute any funds for buying the house, you will be taxed for the entire income. If a husband has invested in fixed deposits in the name of his wife, the interest earned will be treated as his income. If an insurance policy is terminated before three years, the tax benefits u/s 80C are reversed. Very few people know this rule and even fewer follow it. “The onus of reversing the benefit and paying the tax for the previous year is on the taxpayer. If he doesn’t pay, it amounts to concealment of tax liability and could even invite a penalty. benefit on the premium. For many taxpayers, the Rs.1 lakh limit is easily exhausted by other tax-saving options. However, if you had mentioned the policy in the Sec. 80C breakup in your tax return, then the benefit will stand reversed. If you had other tax-saving investments (school fees, pension plans, etc.) which were not mentioned in the form, file a revised return with the new Sec. 80C break-up, excluding the junked insurance plan. This is possible only if. you had filed your return by the due date and your assessment has not been completed till now. If a house is sold within five years of purchase, the tax benefits availed of u/s 80C for the repayment of the principal also go out of the window. Again, just as in the case of prematurely terminated life insurance plans, the onus is on the individual to pay the tax arrears. Mind you, one cannot get away by saying that one didn’t know about the rules. Your tax planning for the year has been a breeze because your child’s school fee is quite high. Before you submit photocopies of the payment receipt to your employer for deduction, make sure that your wife hasn’t availed of the same tax benefit. Though it is not expressly specified in tax laws, both spouses cannot avail of the tax benefit for the same expense. Similarly, only one of you can claim the tax benefit for the medical insurance policy bought for the family. Logically, the individual who has made the payment will be allowed to claim the deduction. Gifts of more than Rs. 50,000 in a year from an unrelated person are taxable. Gifts given by certain specified relatives are not taxable. However, gifts to spouses and jinor children will attract clubbing provisions. Albgfts received on certain occasions, such as mar?lae are also exempted. If, however, the value o1’ifts received on your marriage is inordinately sigh, the taxman may want to know who the generous givers were. In case of gifts from unrelated persons on other occasions, there is a limit of Rs. 50,000 in a financial year. Not all gifts are in cash, so the fair value of the gift will be used to ascertain its taxability. If you get gifts worth more than Rs. 50,000, the entire amount will be added to your income for that year and taxed accordingly. The amount is to be shown as income from other sources in the tax return form. Gift tax also comes into play when real estate is bought for less than the stamp duty value. If the difference between the sale price and stamp duty exceeds Rs. 50,000, the amount is deemed as a gift to the buyer and he is taxed on it.